413 W. 3rd Street has a Walk Score of 61 out of 100. This location is Somewhat Walkable so some errands can be accomplished on foot. MUST SEE RENOVATED HOME IN UPTOWN GREENVILLE - 3 bedroom 2 bath located within walking distance to uptown. This home has been renovated completely. 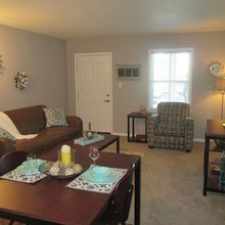 Granite counter tops, stainless steal appliances, hardwood floors with an open floor plan. Both the front and the back have nice decks. Off Street parking available. This is a beautiful home and a must see. Explore how far you can travel by car, bus, bike and foot from 413 W. 3rd Street. 413 W. 3rd Street is in the city of Greenville, NC. Greenville has an average Walk Score of 33 and has 84,554 residents.